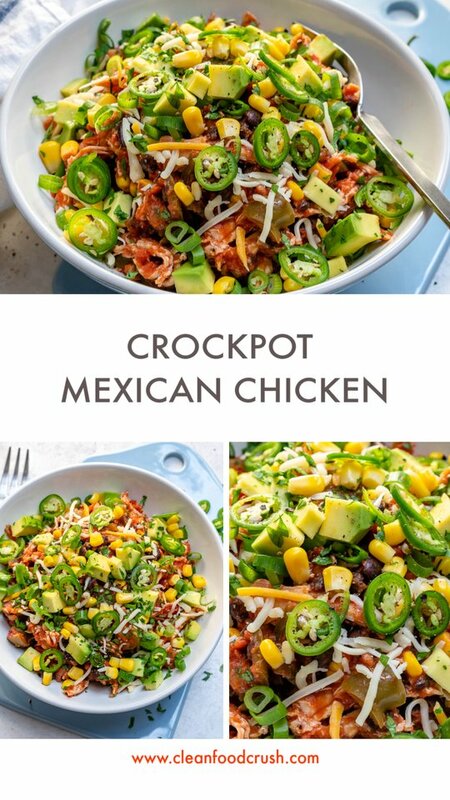 Clean Eating Crockpot Mexican Chicken Bowls for Meal Prep! The weather has definitely shifted here in SLC. It’s windy, rainy, and pretty darn cold every day now. It’s even begun snowing overnight in the mountains! Time to get those Crockpots out! 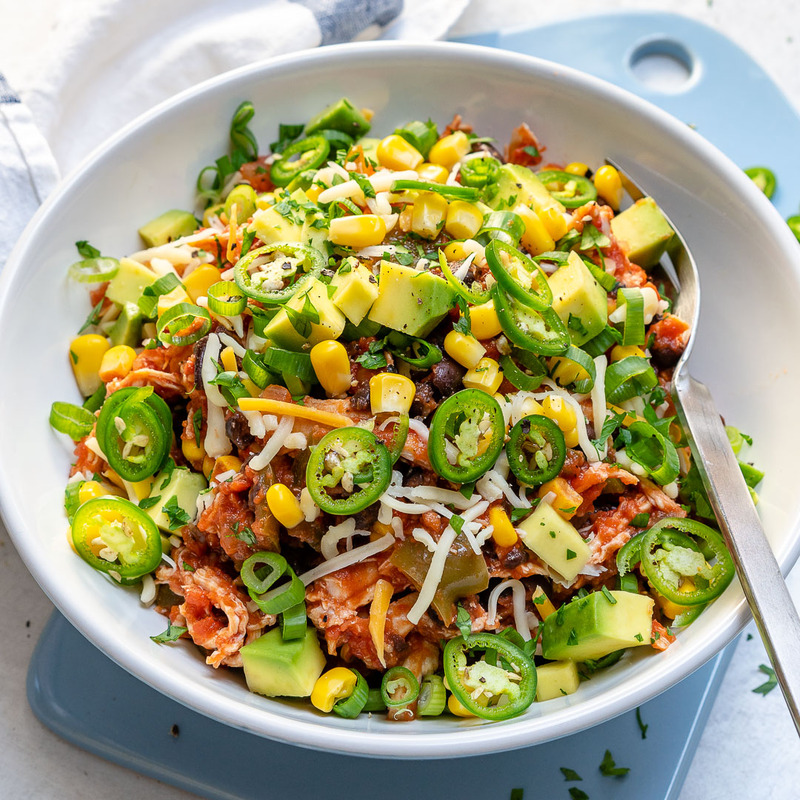 This Crockpot Mexican Chicken Bowl recipe couldn’t be simpler! On top of simplicity it’s SUPER SATISFYING too! 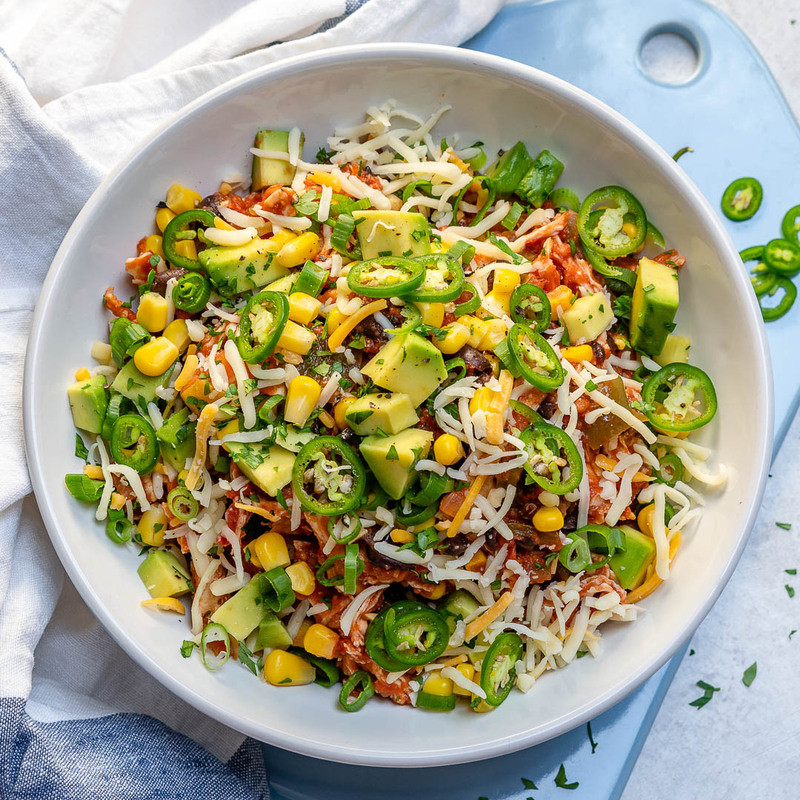 allow everyone to top their own bowls at dinnertime, OR divide these up into food prep containers for your work-week lunches. 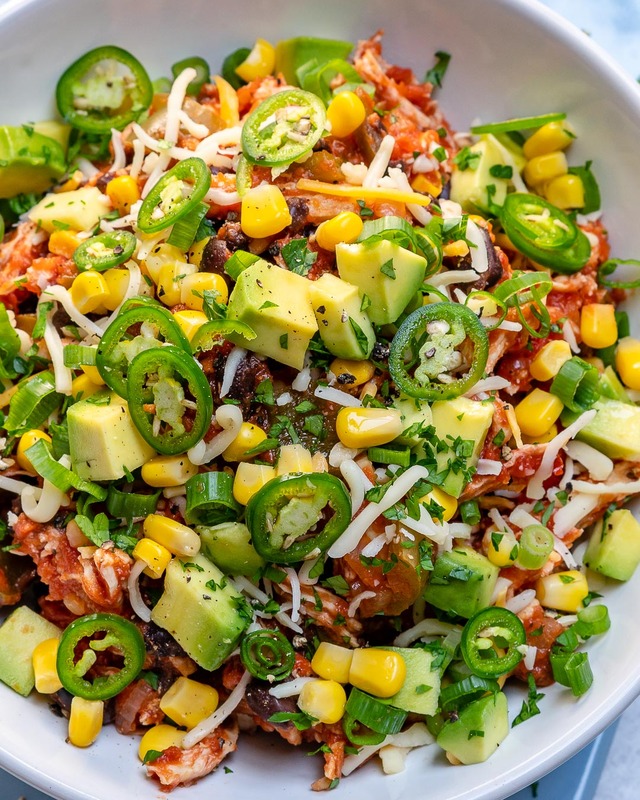 Add all the ingredients except for the toppings to the bowl of your crockpot. Once the chicken is cooked, remove from the slow cooker and shred it using forks, or a KitchenAid mixer. Return chicken to the slow cooker, gently stir everything together and cook for an additional 30 minutes. 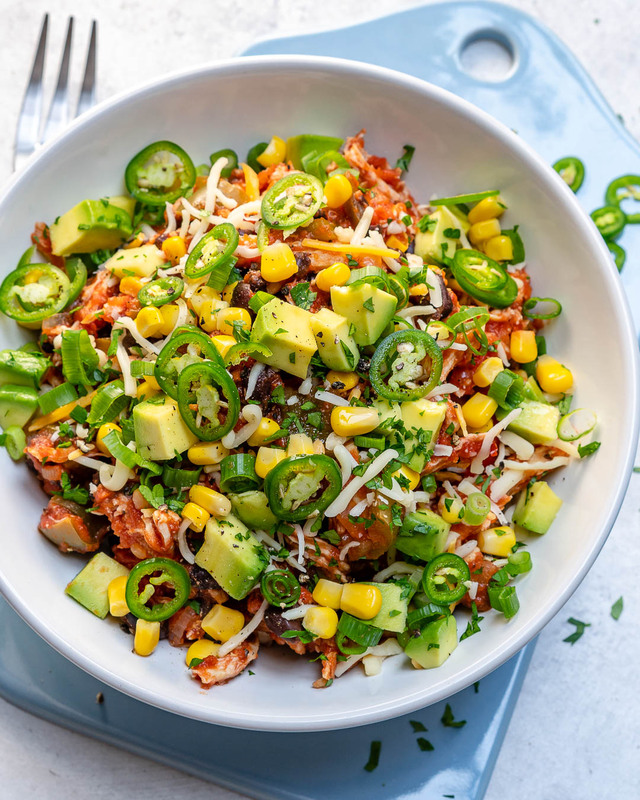 Divide the Mexican chicken among 4-5 bowls and top with diced avocado, jalapenos, green onions, shredded cheese, Greek yogurt and lots of cilantro. 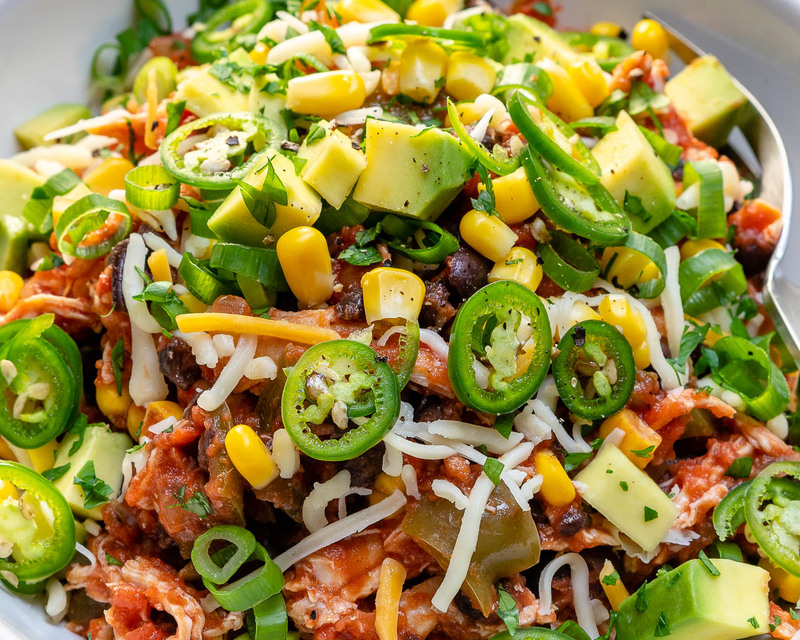 Clean Eating Crockpot Mexican Chicken Bowls!